Hyundai CRADLE, Hyundai Motor’s corporate venture and open innovation business, is investing in Metawave Corporation to build intelligent radars for autonomous vehicles. Metawave has been revolutionizing radar sensing by leveraging adaptive metamaterials (conventional materials using engineered structures with unique electromagnetic properties not found in nature) and artificial intelligence (AI) to create smart radars. Hyundai is closely evaluating new technologies, such as Metawave's high-performance radar capable of 3-D imaging, for future autonomous platforms. Three sensors are the fundamental components of the perception system for self-driving cars today: camera, LiDAR and radar. The camera is the highest-resolution sensor but cannot see objects beyond 50 meters. LiDAR extends the range to about 150 meters, with a fairly high-resolution imaging capability. But, both the camera and LiDAR are affected by bad weather and dirty roads. Radar, by its nature, operates at a lower frequency and "sees" objects at long ranges faster and in all weather and driving conditions. However, today's radars cannot cover wide angles at long ranges and lacks the resolution to differentiate between objects. They need a large number of antennas and expensive chips to run the complex digital signals required for automotive applications. This type of system takes time and energy, making it inefficient. Metawave's advanced radar platform, WARLORD uses just one antenna and pushes the complexity of the analog space, using ultra-fast and precise responses. With WARLORD, the antenna itself shapes and steers the beam in all directions using pencil beams, deep learning engines and AI algorithms to recognize objects quickly and send 4-D point cloud to the sensor fusion. 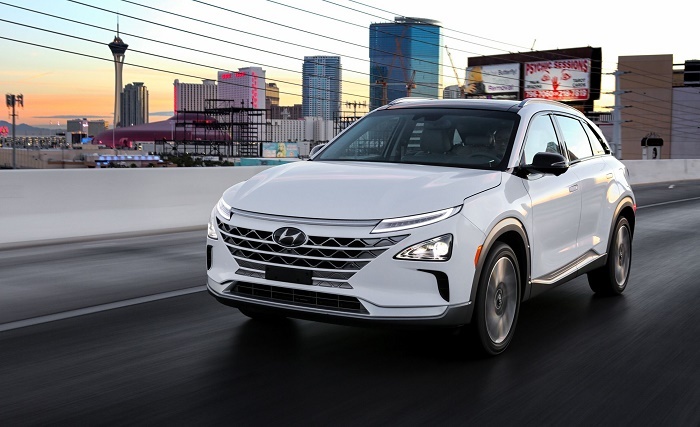 In January, Hyundai and Aurora, a leader in autonomous vehicle technology, announced a strategic partnership to bring self-driving Hyundai vehicles to market by 2021. This partnership will incorporate Aurora's self-driving technology into Hyundai vehicles, starting with models custom-developed and launched in test programs and pilot cities. In February, a fleet of Hyundai NEXO fuel cell electric SUVs successfully completed a self-driven 190-kilometer journey from Seoul to Pyeongchang. The NEXOs were equipped with level 4 self-driving technology, as defined by SAE international standards, and 5G network technology. These NEXOs featured a number of advanced technologies that enabled them to recognize surrounding vehicles more accurately and make better judgments at junctions and at branching roads, navigate through toll gates by accurately calculating the toll gates' width and position and precisely pinpoint the vehicle's position on a map by using external sensors fitted for situations when the GPS signal was interrupted, such as going through long underground tunnels. 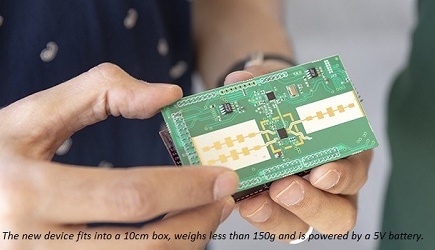 Metawave is building next-generation wireless technology platforms to address major challenges facing the wireless sensing and communications industries operating at mm-wave frequencies. By using engineered metamaterial structures and AI algorithms, the company was able to simplify architectures and improve system performance while lowering cost to both providers and consumers using its electronically beamforming and steering WARLORD and SABER technologies. The company is initially focusing on delivering the WARLORD smart radar platforms for Advanced Driver Assistance Systems (ADAS) and autonomous driving. In parallel, Metawave is building the SABER (Smart Antenna for Beamforming Electromagnetic Radiation) smart antenna platforms for fixed wireless and the 5G cellular infrastructure to power dense point-to-point, point-to-multipoint and mesh configurations for backhaul and access networks. The 5G market will benefit from SABER platform by reducing interference and increasing the reach of coverage of their base stations. Instead of the massive numbers of antennae and complex digital processing used in today's 5G radios, SABER uses one antenna per transceiver port, which is able to focus the signal in narrow beams to extend the reach of base stations and service dense number of users with little interference. Hyundai CRADLE is the Center for Robotic-augmented Design in Living Experiences. It strengthens Hyundai Motor Group's core automotive business and expands it into new and adjacent markets with the goal of enhancing transportation on and off the road. The company also plans to expand the Hyundai CRADLE innovation concept globally.